Sanderson jones is a social entrepreneur, keynote speaker, comedian, coach, and general celebrator of life. 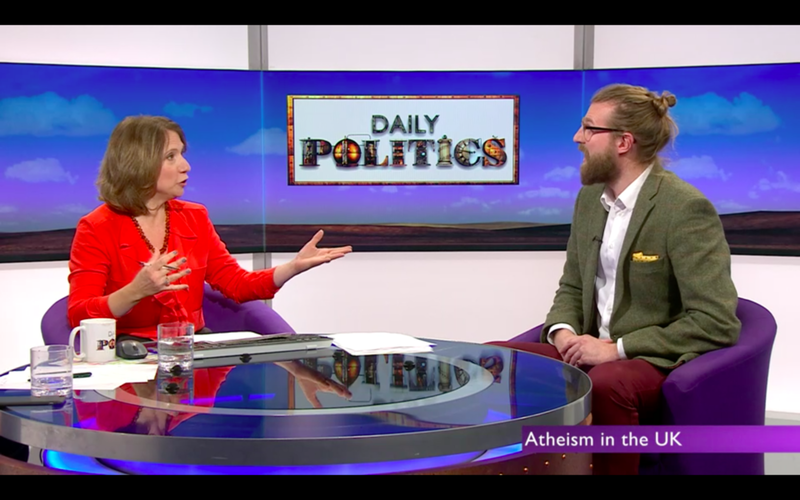 As Creative Director and Co-Founder of Sunday Assembly, the worldwide community building organisation, which developed a new way to build congregational communities that are secular, evidence based and inclusive. Today there are over 50 Sunday Assembly communities across the world with thousands participating every single month. Founded in 2013 the global movement continues to grow in strength. Sanderson’s mission today is showing how Lifefulness - the practice of building secular and inclusive communities - can be applied to any place where people come together. Lifefulness practices can be used in businesses, charities, schools, and prisons, or by individuals in their own lives, to create meaning and belonging. The goal is to create indirect impact by getting other people put the idea into action. Sanderson spreads these ideas into organisations through workshops and speeches, regularly speaking at conferences, off-sites, and away days. Before starting Sunday Assembly, Sanderson was a full time stand up comedian taking sell out shows to the Edinburgh Fringe and Melbourne Comedy Festival. His greatest feat was playing the Sydney Opera House in 2012, having sold all the tickets by hand. In 2017, he returned to the Edinburgh Fringe with a show that combined his passion for Comedy with the science Wellbeing. The quest to get as many people as possible in loving communities where they feel accepted, and are living lives of purpose, will often lead to radio programmes and TV studios. He is often asked to comment on social isolation, mental health, community, and religious matters. He is currently working on ‘Meet The Unbelievers’, a web series exploring unbelief across the world. 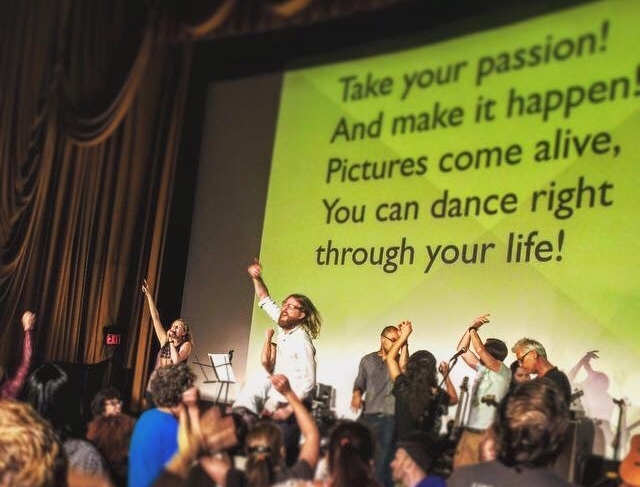 Sunday Assembly is a worldwide movement of non-religious congregations with chapters in over 65 cities, with thousands of participants every month. The communities gather to sing songs, hear talks, and to support each other. Founded in 2013 with Pippa Evans, the Sunday Assembly is pioneering a new way for communities to self-organise. Lifefulness is the theory behind Sunday Assembly. LIfefulness adapts the congregational community, pioneered by churches, mosques and synagogues, in a secular, inclusive and evidence based way. The word 'Lifefulness' intentionally mimics 'Mindfulness' because just as mindfulness adapted meditation, so lifefulness adapts congregation. Read more in An Introduction To Lifefulness. In 2013 Sanderson Jones took all the lessons from of running Sunday Assembly events, developing courses and hosting immersive weekends and combined it in a new personal growth experience. 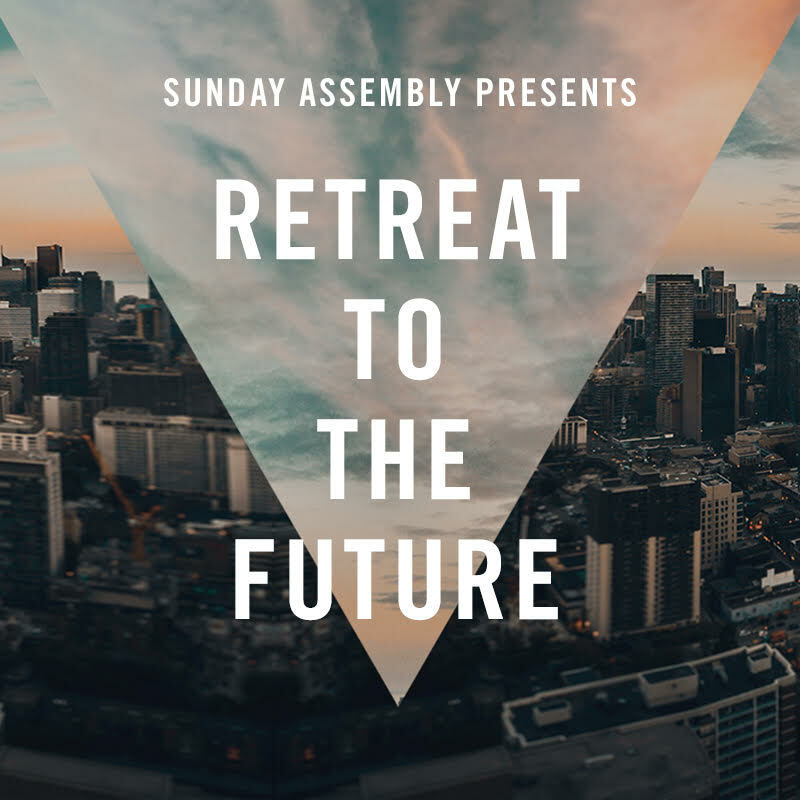 Retreat To The Future works with people not only on the weekend but through the local Sunday Assembly communities. In January 2017 Sanderson Jones was made an Ashoka Fellow in recognition for the work of Sunday Assembly. Ashoka supports a global network of Social Entrepreneurs who are creating "systemic change across sectors, communities and countries". RYSE and SHYNE is a new hour long, uplifting experience that defies categorisation. Think of it as High Intensity Interval Wellbeing, or Tough Mudder for the Soul. Sanderson has a monthly residence at Shoreditch House at 8 am on the second Thursday of the month. Being asked to a be a celebrant at a wedding, funeral or naming ceremony is a honour. These rites of passage define our lives and should reflect the specific needs of the people involved (FYI the picture above is from a wedding not a funeral). Get in touch if you need a celebrant. 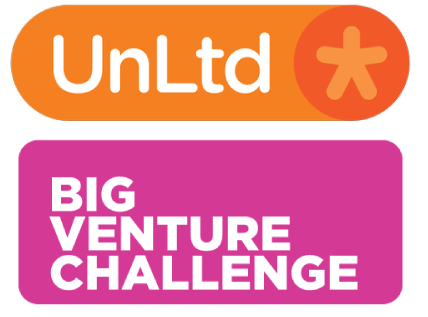 UnLtd made Sanderson Jones a Big Venture Challenge Winner, giving him and Sunday Assembly support in growing the non-grant revenues of the organisation. ‘Retreat Yourself’ was a 3 day wellbeing, connection and celebration venue at Wilderness Festival in 2017, that I curated, produced and hosted over 3 days in the rolling hills of Oxfordshire. 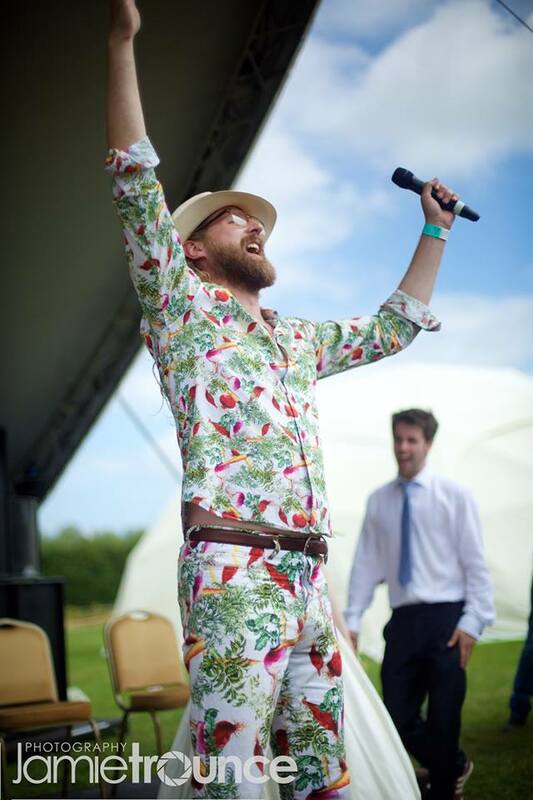 30 speakers over 3 days (including Mr. Russell Brand) led workshops and gave talks that left people feeling energised and reconnected. Comedy Sale Australia saw Sanderson travel Down Under to take the hand sold show to Adelaide Town Hall, The National Theatre in Melbourne and, eventually, the Sydney Opera House. The show also established itself for a 4 month residency in Melbourne. 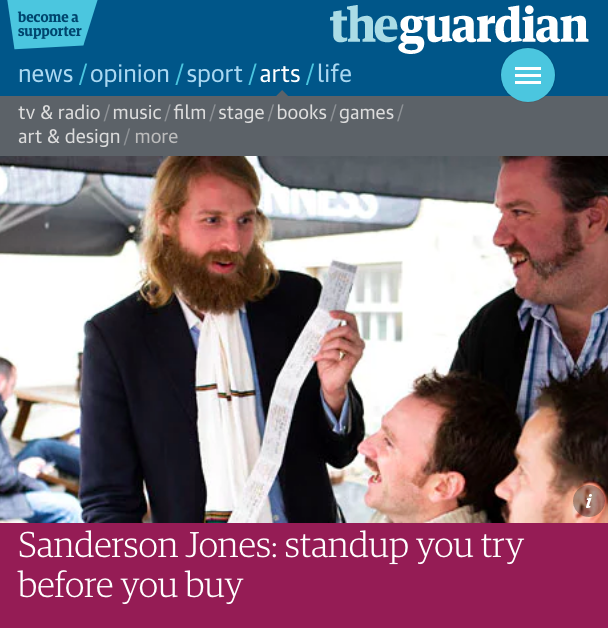 Comedy Sale was Sanderson Jones' break out solo show, in which he sold every single ticket by by hand. This meant he had a personal connection to everyone in the room, which he deepened by researching everyone online. The show was one of the best reviewed shows on the Fringe, before playing to 700 people in the Union Chapel.